The web/on-demand training material is identical to the live training, which takes two full days, including the in-class exercises and post-class certification. With the web/on-demand training, you go at your own pace and schedule. You run the training video in one window and the BPMN tool in another window. The videos are HTML5 created in Articulate Storyline 360 and hosted on the Scormcloud Learning Management System. You can stop the video at any point and resume in a later session where you left off. You can jump ahead or back using links in the navigation panel. In addition, student notes are provided as PDF documents. To see an overview of the course and use of the tool with style rules, click to watch the video. The web/on-demand training is based on Vizi Modeler version 7 from itp commerce, an add-in to Microsoft Visio 2010 or later, which is a prerequisite to installation. If you do not own Microsoft Visio, you may be able get a 60-day trial version as a free download from Microsoft. 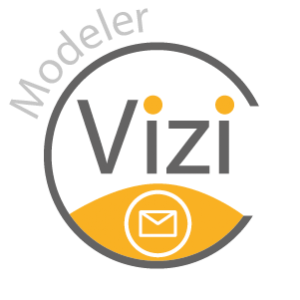 The download of Vizi Modeler for Microsoft Visio depends on the version of Visio you have installed (32 or 64 Bit). Vizi Modeler requires at least .Net 4 extended Framework . The Vizi Modeler installation will check your PC for these required components and should install them automatically for you, unless it is blocked by a proxy/firewall. In that case you may need to install them manually. 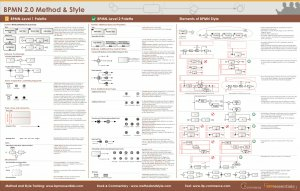 Just like the live and live-online training, BPMN Method and Style web/on-demand training includes certification, based on an online exam and mail-in exercise. You have 60 days to complete the training and all certification requirements, measured from your first login with your training key. On the BPMessentials BPMN Training page, item wtc.07 is the standard web/on-demand training, which provides access to the training content and certification for 60 days, and a 60-day license to the BPMN. At the end of the training period, you may upgrade to an annual license (item wtc.u.07), which also extends your access to the videos for one year. Alternatively, item wtc.b.07 combines the web/on-demand training, annual software license, and one year video extension at a discounted price.